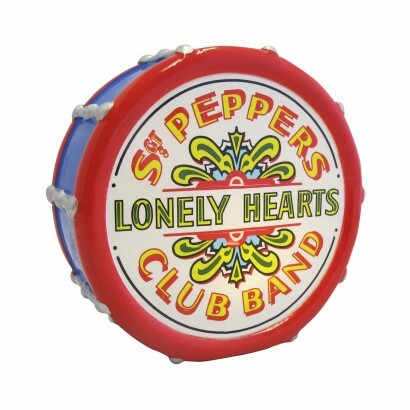 A nostalgic trip down memory lane, this mini LED light is the psychedelic bass drum that features on the iconic album cover of Sgt Peppers Lonely Hearts Club Band by The Beatles! Lit by white LEDs, the drum lights up high lighting the colourful design on the front shining with a soft atmospheric glow. Battery operated (batteries are included) or USB powered (cable included), this iconic drum light is a must for music lovers of all ages!